Lock in a great price for Courtyard by Marriott Glenwood Springs – rated 8.7 by recent guests! The property was not in a busy section yet very central and easy to get around to other locations. I thought it was a beautiful Hotel ! Beds were comfortable and love the pillow choices!Staff could not have been nicer or more accommodating ! The staff was super kind and welcoming The rooms and entire facility were clean and new We believe this is the best hotel in Glenwood , second time at this hotel and won’t be the last! Keep up the the great job, see you soon. The location was a good distance from the busy traffic. The ladies upfront that checked us in were AWESOME!!!! My Fiancé and I got to try rooms that supposedly were remodeled. They looked like a normal room, nothing fancy. There were a few uncleaned areas in the bathroom. The bed was very comfortable. I was disappointed they do not provide breakfast, you have to spend a fortune for oatmeal or a banana. Gas station a few doors down is cheaper. The staff was very friendly and funny. There were crying kids that woke up up at 7 am but that is to be expected at a hotel. Overall I would say it is a decent hotel, it could be better though for the fortune you pay for two nights. Honestly the Holiday Inn is just as good. Absolutely one of the best stays we have had! Bed was very comfortable, decor tasteful, great food choices. Courtyard by Marriott Glenwood Springs This rating is a reflection of how the property compares to the industry standard when it comes to price, facilities and services available. It's based on a self-evaluation by the property. Use this rating to help choose your stay! Located a 6-minute drive from Glenwood Hot Springs, this hotel features modern guest rooms with free Wi-Fi. An indoor heated swimming pool, hot tub and terrace with mountain views are provided. A flat-screen HD cable TV is featured in each guest room at Courtyard by Marriott Glenwood Springs. All rooms have a coffee maker, hairdryer and ironing facilities. The Bistro, open daily, has a variety of healthy options for breakfast and dinner. The S-Bar, on site, features specialty cocktails. The lobby has private media booths and a business library. A fitness center is available for guest use. 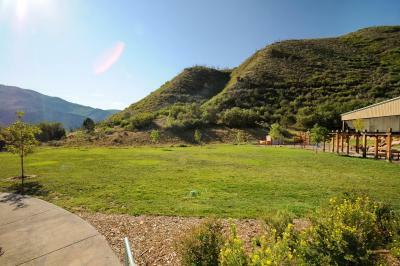 Glenwood Caverns Adventure Park is 2 miles away. 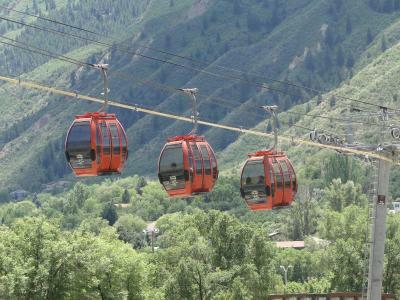 Sunlight Mountain Ski Resort is a 30-minute drive from Glenwood Springs Courtyard by Marriott. When would you like to stay at Courtyard by Marriott Glenwood Springs? Free Wi-Fi and a flat-screen HD cable TV are included in this room. Featuring a mountain view, free Wi-Fi and a flat-screen HD cable TV are included in this suite. Featuring a mountain view, free Wi-Fi and a flat-screen HD cable TV are included in this room. 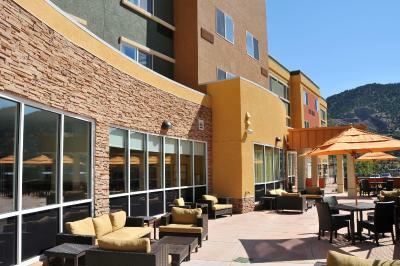 The Courtyard by Marriott® Glenwood Springs, CO hotel features the latest Courtyard redesign. Close to Historic Downtown, Amtrak train station,Glenwood Hot Springs, Glenwood Caverns Adventure Park, Sunlight Mountain Resort, and near Hanging Lake Trail. House Rules Courtyard by Marriott Glenwood Springs takes special requests – add in the next step! Courtyard by Marriott Glenwood Springs accepts these cards and reserves the right to temporarily hold an amount prior to arrival. The pool was too warm. Cleanliness, moderness, and friendliness of staff. We did not stay. We got our room and it was located next to a very noisy ice machine. We think that where it was coming from. Ask to change rooms and only handicap room left. We would rather leave that for handicap. So girl at desk was very rude about it. Did not give us anything to say we wanted refund. And told us we were free to leave rudely. Modern, clean, great location. Easy to get around town eating and hot springs. It was only that Starbucks not able to get one. While video in lobby is constantly showing it. Promoting Starbucks but not serving it. All the while the video in the lobby shows Starbucks coffee being poured. I did not get my invoice emailed to me as they said would happen. Seemed like basic everything.There was a flood in the foyer. Small tiny food operations were shut down. The offer we received was a king bed - We asked before entering for a room not facing the highway. & not rite outside a noisy elevator. That's all they had was to offer us. They said they had no other king bed room.This was on a Tuesday .The hotel fairly empty.We endured highway traffic noise all night. We were there for the World famous largest hot springs which none of the staff new about nor was able to inform us that it was shut down for two days the length of our stay. Alternative hot springs were available none of which the staff gave us any information on. I won't be returning. Breakfast was not included ! Hoped the hot tub would be outside! We were awoken to someone above our room , we think that was doing some maintenance. Early the morning we left . Wanted to use ice machine early in the morning but did not want to disturb other customers so did not use it. If it was behind a door it would have been better. Nice and quiet, Nice room.